Bright, beautiful and affordable earrings comprising Czech Glass in lavender, coral and olive colour..
Free Shipping! 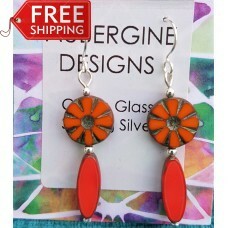 First Class Royal MailSmart vibrant earrings comprising bright orange and olive.. 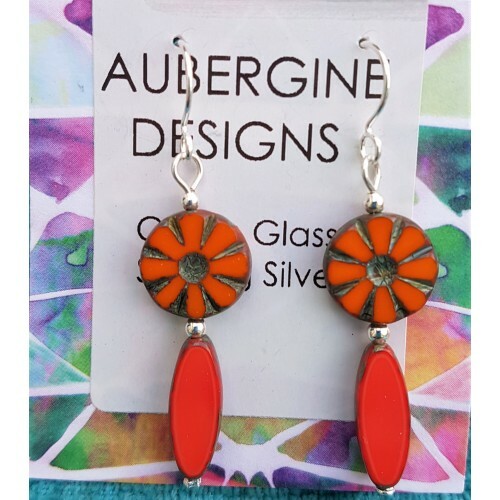 Tags: orange, and, coral, red, czech, glass, earrings, sterling, silver, new, items, stock!